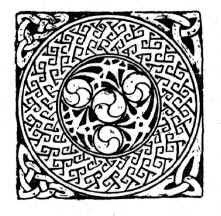 Transcultural Buddhism: Celtic and Buddhist symbolism - triskelions, triskeles. 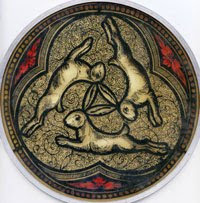 Celtic and Buddhist symbolism - triskelions, triskeles. 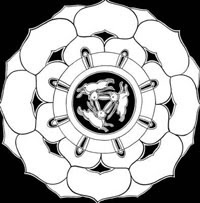 The triskele or triskelion symbol, which resembles three commas or teardrop shaped beads chasing one another round a circle, is a Buddhist meditational symbol that represents the three aspects of Dependent Relationship which give existence to all functioning things. The Buddhist teaching on Dependent Relationship states that phenomena exist in three fundamental ways. Firstly, phenomena exist by dependence upon causes and conditions. Secondly, phenomena depend upon the relationship of the whole to its parts and attributes. Thirdly, and most profoundly, phenomena depend upon designation by the mind . The mind is a non-physical aspect of the universe that is not reducible to matter. 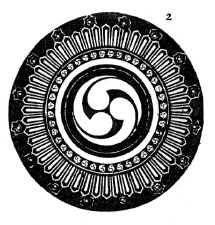 The appearance of motion of the three swirling teardrops symbolises that the impermanence of all compound phenomena arises from these three ever-changing relationships. 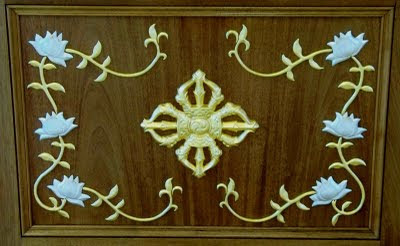 In traditional Buddhist art, triskeles are frequently seen in the centre of Dharma wheels, four-pronged vajras and auspicious symbol mandalas. 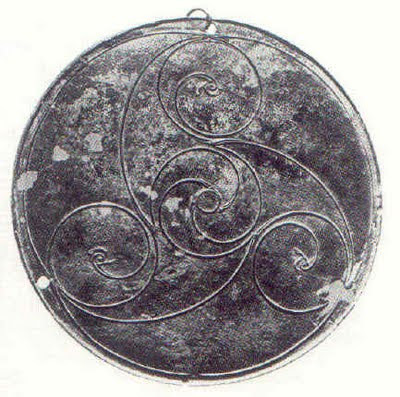 The triskelion magatama symbol is also a common feature of Celtic sacred art such as stone carvings, enamel ornaments, book illumination and knotwork. The untranslated term 'Sidin' is not explained. Could it be related to the Sanskrit Siddhi ? 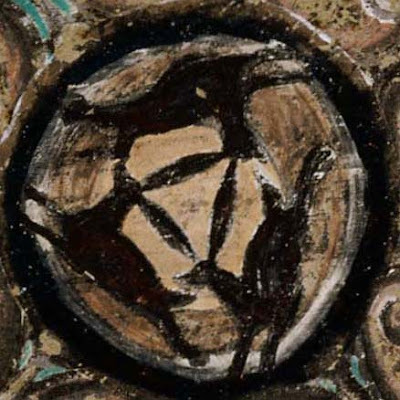 According to the article by John Michael Greer, the 'three elements' of Druid metaphysics to which Taliesin refers are known in old Welsh as Gwyar (change, causality), Calas (structure) and Nwyfre (consciousness). 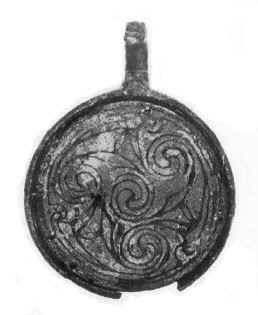 Irish metalwork showing interleaved triskelions, second century A.D. 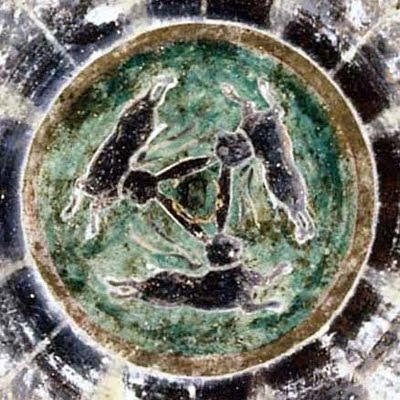 In the three hares/rabbits triskelion, the aspect of motion is especially apparent, emphasising that all phenomena arise from the three dependencies and are thus inevitably impermanent and devoid of any essence. 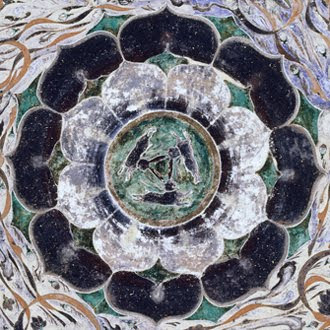 This symbol was originally Buddhist, but travelled westwards along the silk routes and can be found in European medieval church ornamentation. In Buddhism, as well as Druidism, mind is a primal aspect of reality that is not reducible to matter. For a discussion of why the mind is a non-physical, fundamental aspect of the universe which is not derived from anything else, see Confronting Materialism and the Delusion of the Mechanical Mind. Stewart, R. J. and Williamson, R. (1996) Celtic Bards, Celtic Druids , ISBN 0-7137-2563-X, publ Blandford, London, p 146.
love your blog. you are very passionate and learned. i do have one question, however. 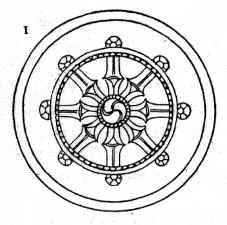 regarding the japanese dharma wheel image that you have for this post, what source/book is this from? 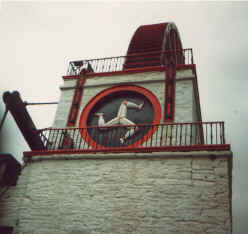 i am trying to get a high-resolution picture, as the details of the wheel are a little washed out due to compression. Hi Marc I've posted some hi-res scans on 18th January 2010. The scans are from 'Buddhism in pre-Christian Britain' by Donald A. Mackenzie published 1928. 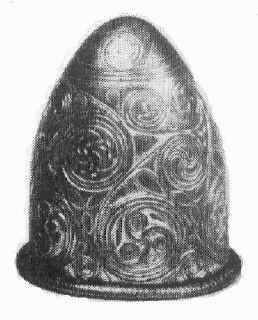 Caer Sidin is incorrect, as is the translation. Caer means fort or castle not circle and sidin should be Sidi or siddi which means elf/elven (as in banshee= bean siddi-fairy woman) So Caer Siddi is a fairy castle.